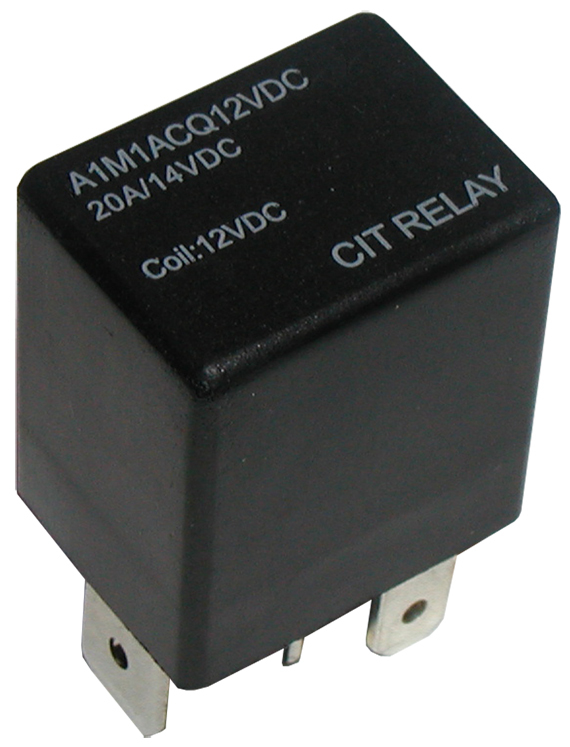 Switching capacity is up to 20A, the A1M Series is suitable for automotive and lamp accessories. Mounting methods are PC pin or quick connect. Contact arrangement options are 1A or 1B with coil power of 1.16W. 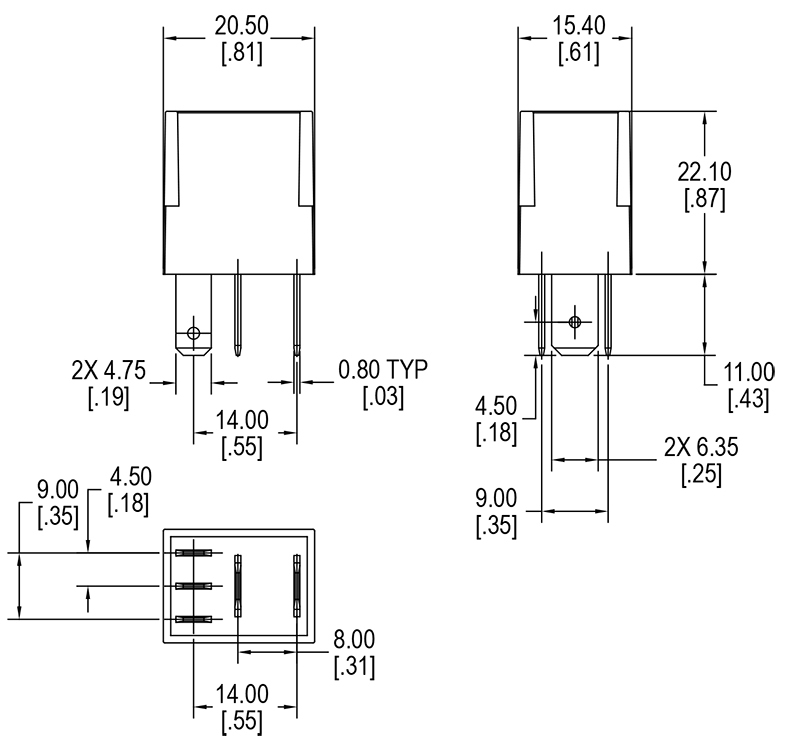 The A1M Series automotive relay size is 20.2 x 15.2 x 22.0mm.